Partly as a result of the research into the extent of the landscaping at the Camp, new discoveries about the placing and number of Bronze Age barrows (2200-1800BC) within it came to light. A high probability that one of the two barrows assumed and recorded as being on the summit of the Camp was an 18th century landscaping feature. A high probability that a previously unrecognised barrow existed to the south east, within the ramparts of the Camp. Two barrows at the summit of Vespasian’s Camp? The idea that the Camp had two Bronze Age barrows at its summit has been unchallenged for at least 100 years. Both are marked on English Heritage maps of the site, as well as on earlier OS maps of the site (see Figure 1), for example. However, William Stukely’s description and sketches of Vespasian’s Camp in 1724 point to only one barrow existing there. Figure 4: An OS map from 1923 clearly depicting the location of two Bronze Age Barrows at the summit of Vespasian’s Camp (they are described as ‘Tumulus’). Our research suggests the larger one is an 18th century landscaping feature, consistent with Bridgeman’s design of a large circular clearing as shown on his drawing (see Figure 2). During the research it became apparent that the idea of there being two barrows at the summit of the Camp could only be securely dated to comments made in an article by E.H. Goddard in the Wiltshire Archaeological Magazine of 1913-1914. Here, Goddard notes that old drawings of a Bronze Age dagger and pin, said to date to 1770, came from “the large barrow” and “the lesser of two barrows in that part … called Vespasian’s Camp”. From this point on, the “large” and “lesser” barrows have been placed in the centre of the Camp in modern maps. This larger feature is more likely to be the remains of an 18th-century Bridgeman landscaping ditch feature used to encircle the large circular lawn at the summit of the Camp, as indicated in his design (Figure 2). Sue Haynes, a member of our team 2009-2012, has also argued that if this feature was of Bronze Age origin it would not have survived the hundreds of years’ ploughing the Walls Field area was subjected to. Our research did reveal the existence of a second ‘lost’ barrow however. Andrews and Drury’s Map of 1773 (Figure 5) appears to show a second barrow positioned close to the major road running broadly east-west and marked by a small open circle, a conventional symbol of the time to mark a barrow. When we examined this feature on the ground in 2010 it also looked like it had a ring ditch (a marker of barrow design) and that it had been incorporated into the later Iron Age ramparts. Fig.5: Close up of Vespasian’s Camp from the Andrews and Drury Map 1773 showing the two open circle barrow features either side of the road in the south-eastern corner of the site. Were they used to provide an ‘ancestral’ gateway into the hill fort in its later Iron Age phases? Does the line of the road mask an earlier overland prehistoric route to the Stonehenge Area from the River Avon (see figure 6)? 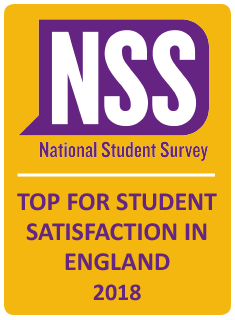 In 2011 we invited senior English Heritage landscape investigators Dave Field, Mark Bowden and Dave McOmish to take a look and they identified it in similar terms. Mike Parker-Pearson, of the Stonehenge Riverside Project team, has also confirmed the feature as a Bronze Age barrow during a site visit in 2013. There also appears to be another ‘missed’ barrow just to the other side of Stonehenge Road, within the circuit of the Camp, marked on the Drury and Andrews map (for a close up version, see Figure 5). It also seems to be incorporated into the Iron Age rampart defences. If this also was a barrow, it is possible that the two of them were used as a sort of gateway into the hill fort in the Iron Age. Perhaps such a choice strengthened ancestral ties to the place, giving it another type of ‘defence’? Equally interesting, the route way in and out of these barrows links the natural fording point of the River Avon to the east, to the Stonehenge Avenue area to the west (see Figure 6). We wonder if this could have been an overland route to the Stonehenge landscape in earlier periods, as well as a way into the hill fort in the later Iron Age? 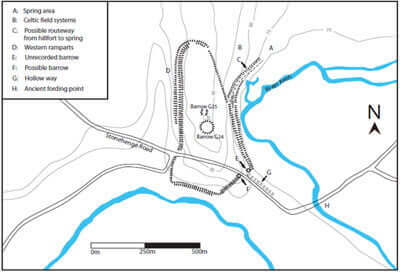 Fig.6: Our map of Vespasian’s Camp, noting the areas we have investigated through excavation and/or survey work: the location of the wrongly labelled barrow (G24), the locations of two previously unrecorded barrows (E and F), the location of a possible fording point and overland route from there towards the Stonehenge landscape (G and H). 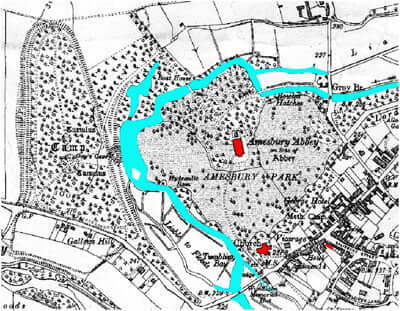 The Flitcroft Survey of the Amesbury Estate 1726 (Figure 1). Charles Bridgeman’s landscape design for the Queensberry Estate 1738 (Figure 2). Drury and Andrews map of Stonehenge/Amesbury and Vespasian’s Camp areas (Figures 3 and 5) 1773. OS Map detailing Vespasian’s Camp 1923 (Figure 5). Current project map of Vespasian’s Camp detailing areas discussed in the text (Figure 6). Amesbury Estate Surveys 1741 and 1742 – Wiltshire Record Office (WRO) 283/6; WRO 944/3. 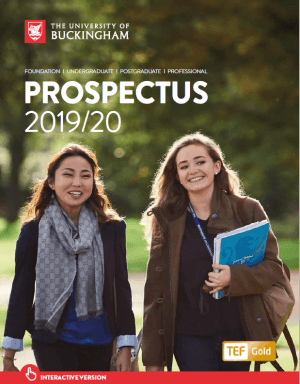 Sue Haynes, unpublished UEA thesis – ‘The reinterpretation of a prehistoric landscape in the eighteenth century. 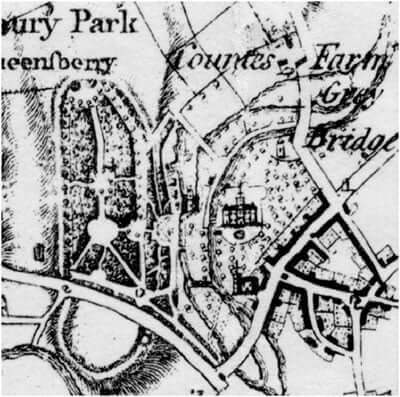 How far did the presence of prehistoric earthworks at Amesbury Abbey, and in the surrounding landscape, influence the 1738 design of Charles Bridgeman’, 2012.